Rick Marshall, aka DJ Ricco, is an sound specialist and music aficionado with a flair for delivering a crowd-pleasing experience via exceptional DJ skills. 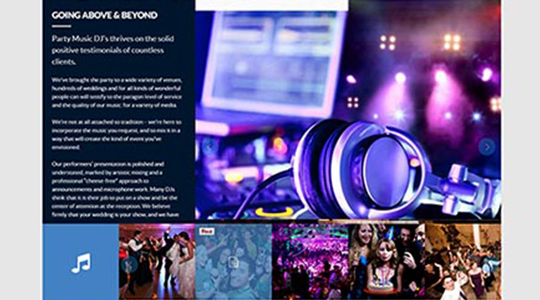 DJ’ing takes more than just flipping tracks; it takes expert timing, ocd-like preparedness, product familiarity (music knowledge), marketing prowess and a keen eye to understand and move a crowd during any event. 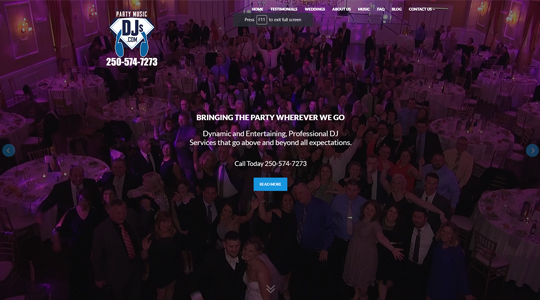 The pressure for perfection is often greater where weddings are concerned, and DJ Ricco is widely regarded as one of the best decisions in music entertainment for any wedding reception. 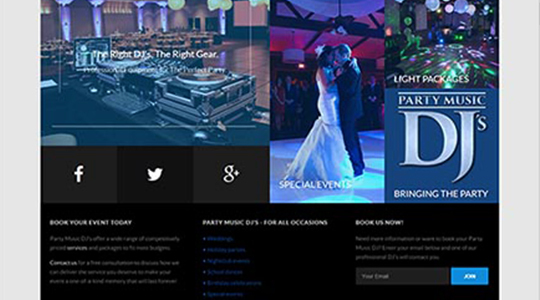 Rick needed a professional and attractive image for his popular and rapidly-growing business; so he hired Alchemy Imageworks to construct a mobile responsive content management system website indicative of the music experience and entertainment professionalism he brings to every event. Every DJ has his or her personality, which is what helps make them successful. Websites too, have their own personalities, and they need to be closely reflective of the style and intensity of the people and brand identity they are mean to represent. For the graphic design elements and accents we chose slightly subdued base colours to give some ‘POP!’ to the photos and provide contrast to text information. Social media visibility is also an important consideration for any business where platforms such as Facebook and Twitter are chiefly used in the overall marketing strategy, or where those platforms are the primary source of customer communication. When built and implemented correctly, a Frequently Asked Questions (FAQ) section that answers common concerns, questions or objections can serve as an effective addition to your website functionality. 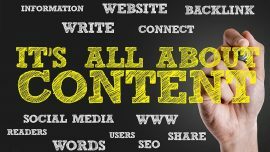 It can alleviate product anxieties that regular page copy doesn’t directly address, as well as provide improved search engine optimization and website navigation. Testimonial usage on a website, as with many features, must be carefully and strategically used to impart a sense of trust in the audience. That being said, when cleverly implemented a testimonials section or rotator elements in a website are an excellent method of providing positive references for potential clients. improving search engine optimization, and adding that perfectly attractive layout element that visually brings the page together.